We found a few more colorful shellightful shells just as the sun was setting over the horizon on the Sanibel side. There were lots of FIGHTING CONCHS at Gulfside City Park too. A fresh new shell line of WENTLETRAPS and BABY’S EARS had just washed in in the high tide one evening. Closer to the water’s edge in the morning at Gulfside at the lower tide, we saw a fresh new line of Sanibel’s most common shells washing in. It’s always so special to share these beautiful islands and this week I got to share them with Lori (whom I’ve known for most of my life) and her daughter Hayley. Beautiful stuff Pam! That first photo of the conch is really superb!!! Breathtaking! Wentletraps AND baby’s ears!! Wow! Coming next week! Beautiful!! I pick up a few baby’s ears up our way, but have only found one wentletrap. We have had lots of whelks and conchs lately though. 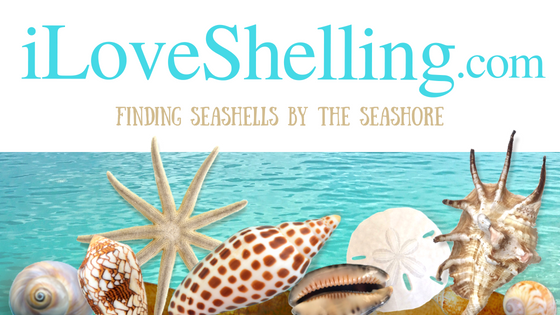 I love reading your blog although I look at my meager shell collection – they are small but fun to find and I just have to work harder on our beaches:) Thanks for keeping me inspired:) Happy Shelling! Can’t wait to come back in June..Hope to do some serious shelling..Thanks for all your posts..Love seeing all the shells.. THANK YOU SO MUCH PAM for all the awesome posts and the cool video with your friend and her daughter with the Manatees. You do an amazing job sharing your wonderful experiences with all of us who can not physically be there with you. Thanks for taking the time. Pam D.
OMG, the photos are stunning of these real jewels of the seas. I love getting your posts and I’m getting so excited about our trip to Sanibel at the end of this month..
Love conch shells. They are one of my favorites.